If you’ve been on YouTube in the past few years, you may have noticed that there’s a certain pattern in the “Trending” tab. It’s a trend that was most definitely started by the rise of Justin Bieber: the trend of very young kids releasing covers and original songs, aiming to be the next breakout star on the Internet. These kids don’t necessarily reach “success” in the conventional way that most musicians do (i.e. charting on Billboard or going Platinum), but they somehow gain hundreds of millions of views on YouTube. These astronomical view counts are usually due to either the rabid fan bases that celebrate these kids or those who watch the videos to mock their lack of “talent”. The list of these “Justin Bieber-esque” pop stars is long, and includes such artists as MattyBRaps, Carson Lueders, and JoJo Siwa. 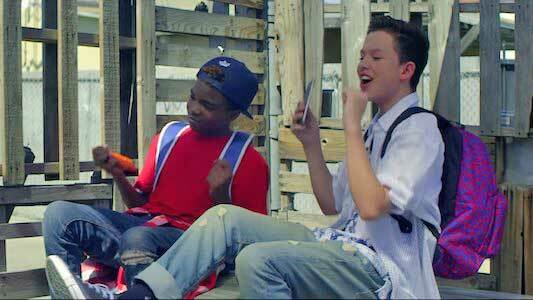 The biggest and most successful of these young sensations is fifteen-year-old Jacob Sartorius. His song “Bingo” has garnered 15,000,000 views on YouTube since its release in March of 2017. It has also racked up 309,000 likes and 129,000 dislikes. So is he just another flash in the pan YouTube star, or possibly the next Justin Bieber? Just three dudes hanging out in what appears to be a wood fort. The song is about a girl that Jacob saw on his Instagram feed and has fallen head over heels for. When the girl follows him back, Jacob checks to see if she has a boyfriend, and finds out she does not. He then uses the term “Bingo” because he feels like he’s won the lottery, and he even goes so far as to incorporate the old nursery rhyme into the chorus. It’s an innocent song that is pretty catchy, which makes it easy to see why preteens have latched on to Jacob like they have. The beat is nothing special, as it’s just some standard drums and piano. Sartorius does a rap-singing combination here and it kind of works. When you find out she doesn’t have a boyfriend. The music video is set in a normal, everyday American town, and features Jacob and his friends checking out a girl’s Instagram. He starts liking her pictures and she gives him a follow back. Jacob and his friends then go through town looking for this girl, and they find her at a diner with her friends. Everyone hangs out, and awkwardly head bobs to the rhythm. Then Jacob gets his everybody together to do the shot that’s done in every hip-hop video: the crew shot. He dons his coolest hoodie and beanie for this and has the whole gang posted up against a wall of graffiti. It is definitely something else. 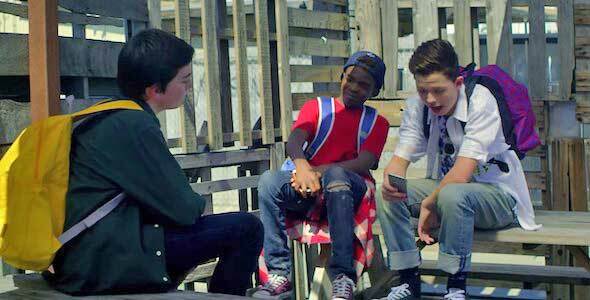 The video features Jacob and one of his friend wearing chucks throughout, with Jacob wearing a gray pair and his friend maroon. It’s what you’d expect from 15 year olds, and it’s innocent enough that parents won’t get mad at their kids for watching it. 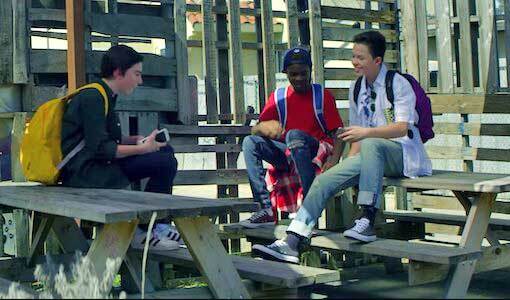 Jacob and his friend both wear chucks throughout the video.